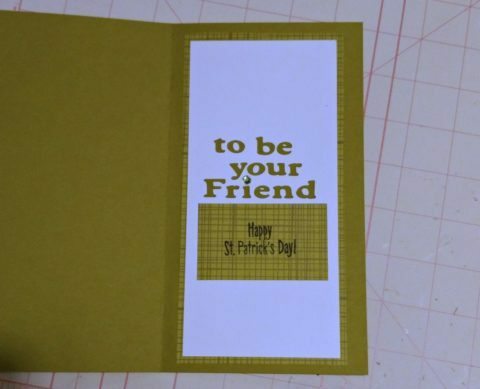 Celebrate your special friends with handmade St Patricks Day cards. Nothing says ‘lucky’ quite like a 4-leaf clover and a ladybug! 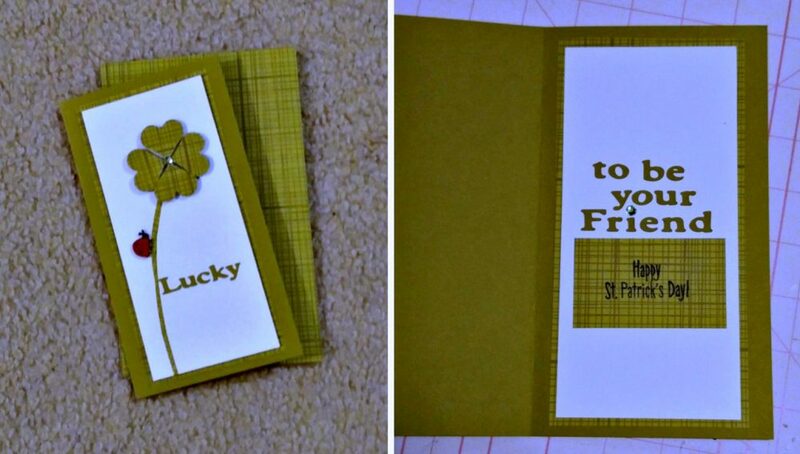 This card on Pinterest gave me the inspiration to make my own card for a good friend. 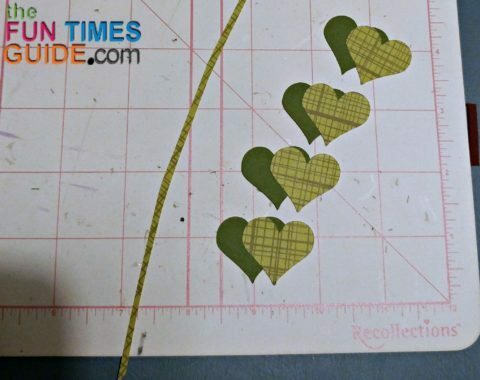 I used my Cricut Expression to cut four 1″ hearts using the Plantin Schoolbook cartridge. 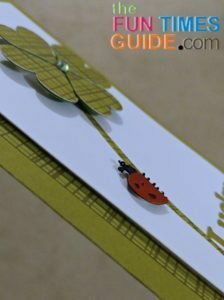 The paper is from the KI Memories classic prints paper pad, but you can use any green paper you have on hand – solid or prints. The stem was cut by hand from the same striped paper and glued to the 3-¼” x 7” white panel with a glue pen. The ½” ladybug is from the Walk In My Garden cartridge. I used scraps of leftover black and red shimmer paper. I also used a tiny pop dot to place the ladybug on the stem. The ‘L U C K Y’ letters are ½” cut from olive green cardstock using the Suburbia cartridge. 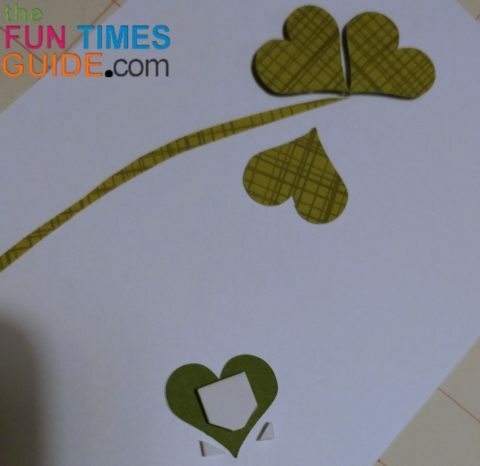 For the card base, I used an olive green cardstock that is 4-¼” x 7-¾” when folded. 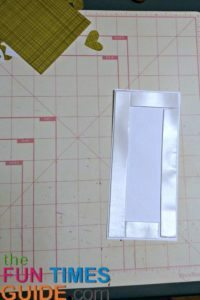 I cut a same-sized panel of white and green striped paper to use on the inside. Using the same Suburbia cartridge, I cut the sentiment ‘to be your friend’ and used another 1/8” green gem to dot the letter ‘i’. Wrap it all up in a matching envelope! 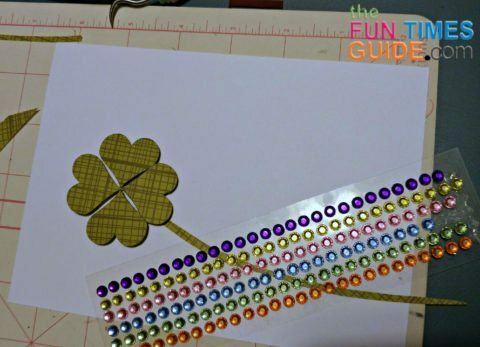 I wish ye the luck o’ the Irish as you make your on St. Paddy’s day card.